With an area of approx. 0.45Ha, the existing site was located on a corner plot in the heart of Lower Pilsley Village, on the edge of Chesterfield yet still outside of the village SDL (Settlement Development Limit). The site was a former agricultural yard, which has been used as stables and menagerie for a number of privately owned horses but was gradually falling into disrepair. 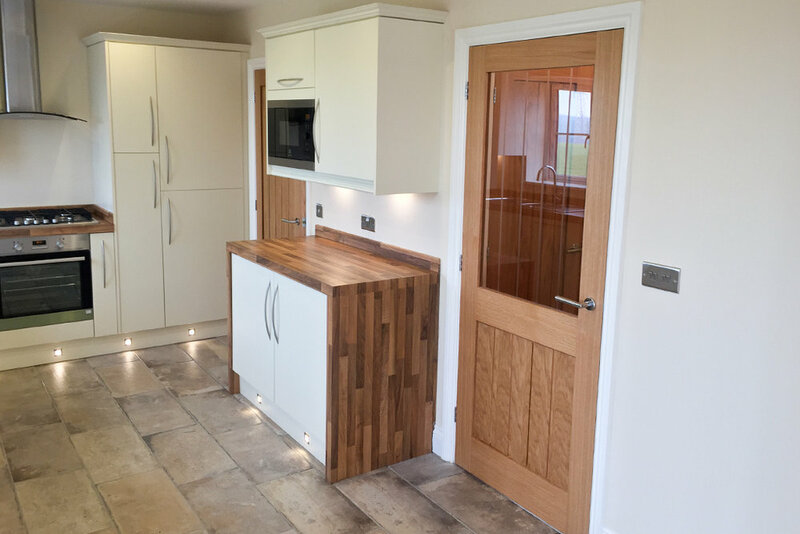 This was the first of many projects where we have been appointed as project architects by Poplar Farm Developments Ltd to create an attractive and desirable housing development. The scheme has been designed to maximise the use of this slightly tricky corner plot on the edge of open countryside. Having worked closely with the Local Planning and Highways Authorities, we quickly identified that the existing site entrance adjacent a stagger junction was inappropriate to serve a number of houses and the best location to create a new site access was to the north west corner on the quieter side road. 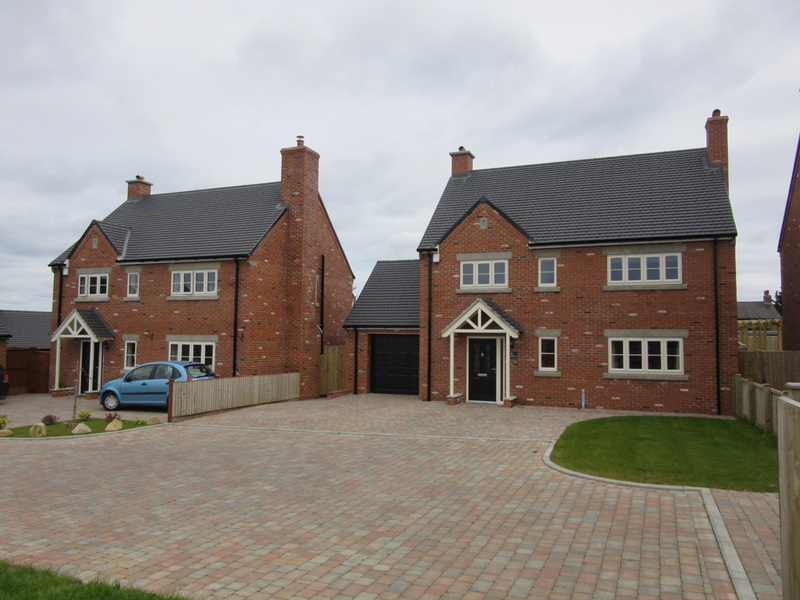 This access point also allowed us to wrap the new development along the front of the site to form a row of new semi-detached and detached homes which face onto the main road and village green, whilst being able to form a more select row of larger detached houses to the rear of the site which are accessed off of a private driveway that made the most of stunning views over the open countryside to the west. 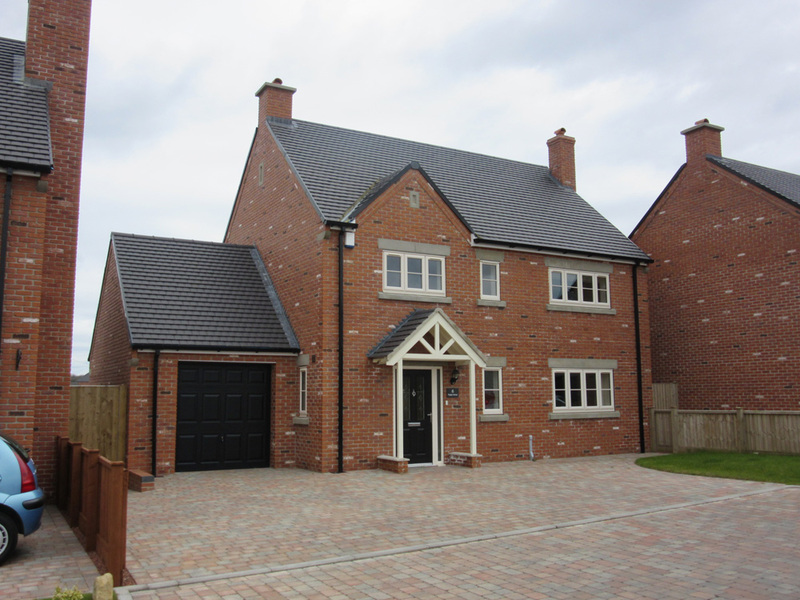 The completed project provided eight new family homes, varying from three bedroom semi-detached houses to larger four / five bedroom homes.